DemoCRIPS and ReBLOODlicans uncovers the truth about how corporations have bought the American electoral and legislative process through the power of lobbyists, campaign contributions and political action committees. Covering historical details such as the development of the two-party system and the advent of third-party candidates throughout US history, DemoCRIPS and ReBLOODlicans exposes how the two-major parties, acting like a gang-land cabal, have allowed corporations, businesses and politically-motivated wealthy individuals to manipulate elections, bribe elected officials and, in short, silence the average American voter. 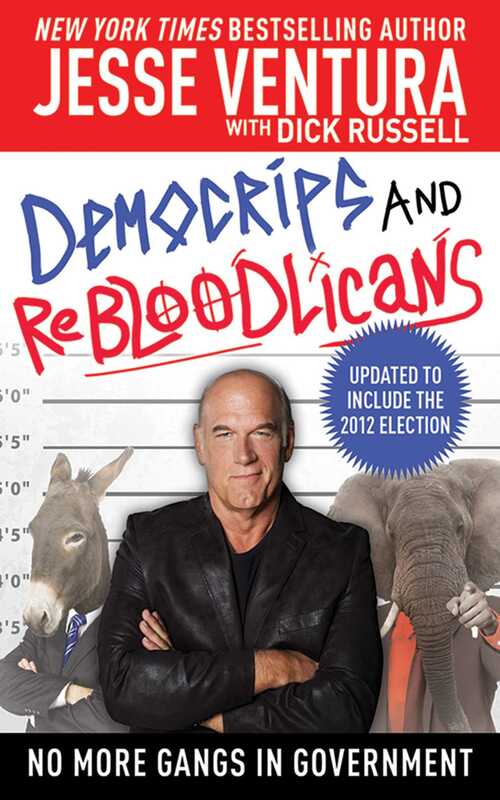 Exposing the ineptitude of both parties at insuring the integrity and vitality of American democracy, Jesse Ventura advocates the replacement of the two-party system for a no party system based on the ideals of our Founding Fathers. As election time rolls around, this is most certainly the book that should be looked at for reforming our electorate system. The knowledge and research that have gone into DemoCRIPS and ReBLOODlicans is unmatched, and if there was to be change, this is most certainly where it should start!